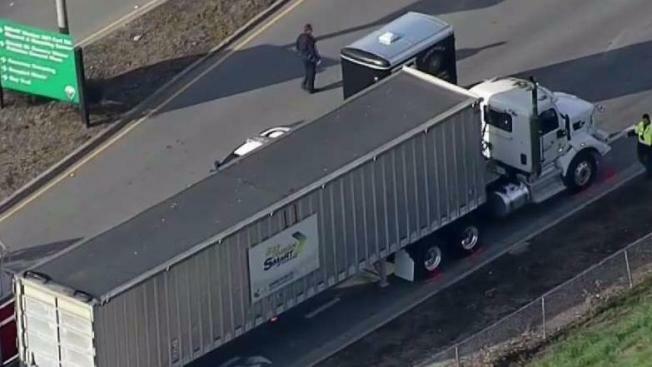 A bicyclist was killed Thursday morning after a collision involving a big-rig in Sunnyvale, a Department of Public Safety spokesman said. The collision was reported shortly after 7 a.m. on Caribbean Drive between Borregas Avenue and Geneva Drive, Capt. Shawn Ahearn said. Ahearn said that he does not have any information yet on the bicyclist's identity, gender or age. The person was pronounced dead at the scene. There were no other injuries in the collision. The Department of Public Safety's Accident Investigation Team will be surveying the scene for the next few hours, Ahearn said. All westbound lanes on Caribbean Drive near the scene of the collision will be closed during that time, and there is no exact estimate for when the lanes will open back up, according to Ahearn.